This is the first TV series that I shall be reviewing and before I go on, I have to mention certain things. I'm no big fan of watching videos on computer and I seldom watch a series, in fact, Forbrydelsen is only the third I've watched, the other two being Yes Minister and Borgen and in fact, I stumbled upon Forbrydelsen when I read that Borgen was broadcast in the UK following the success of Forbrydelsen which was also done by the same producer (DR). So, my review would not be like the conventional sitcom reviews, since till date, I don't know what exactly is 'good acting'. I can pick out if an actor's performance is bad but I've never been able to pick out the good performer. Besides that, some talk good editing, screenplay, etcetera but I have never understood what the film critics exactly mean by that. So, this won't be any different from my other reviews, I shall not say a word about the technical aspects of a film, such as acting but treat this as any other crime story as though it were a book (I've felt that Forbrydelsen would have been much better had it been a book). Coming to the review, Forbrydelsen, translates to 'The Crime' in Danish; though it is known as 'The Killing' in the English speaking world (I shall be referring to the series only as Forbrydelsen throughout my review since I don't see any reason to anglicise the title). It is a Danish TV series, with 20 episodes of one hour each, starring Sofie Gråbøl as Sarah Lund and Søren Malling as Jan Meyer and the story takes place in Copenhagen. Sarah Lund is a Detective Inspector and is about to move to Sweden with her boyfriend Bengt Rosling. However, on her last day in Denmark, Nanna Birk Larsen, a nineteen year old student is murdered. Her body was found inside the boot of a car which was taken out from a canal near the woods. Incidentally, the car belonged to Troels Hartmann, a local politician, running for the mayor post and elections were just three weeks away. The case thus had a severe impact on the election campaign and also on the Birk Larsen family. Sarah Lund's departure to Sweden is postponed by a week since her chief didn't want this case to be her replacement, Jan Meyer's first case and Lund, throughout the case, is assisted by Meyer. The series had a perfect mix, politics and crime and the person did a good job in focussing the story from all the three angles, the police and sometimes, the personal life of Lund and Meyer, Troels Hartmann and his associates and also the Birk Larsen family. Also, the investigations were brilliant along with the twists and turns; the viewer can't really trust anyone and nearly every suspect has some reason to hide certain information from the police and especially after the 5th or 6th episode, I became a little desperate to know who did it and the interest remained till the end. Another good thing was that the attention was mostly only on the Nanna case and even the sub-plot, that is the upcoming election, is related to to the story as the case has a say on the outcome of the election, with Hartmann being one of the suspects. However, I felt that the scenes involving the Birk Larsen family were at times boring and I felt that the police too, harassed the people involved in the case including the family suffering from bereavement and occasionally they were also being a little stupid. Not just that, several deaths of the people related to the case, during the course of the story, was rather unnecessary and I think it was done just to prolong the series. Ignoring those rather insignificant details, I was really disappointed with one aspect of it, the end. I've always said in my previous reviews that a crime novel, regardless of the quality of the investigations and the interest it generates, without a proper end, the whole thing is rather meaningless. 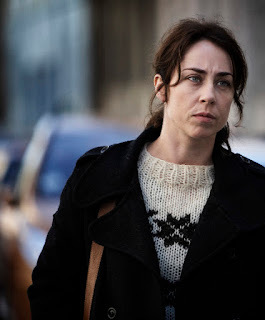 So, that would apply to any other crime story as well and unfortunately, Forbrydelsen too falls a victim to that. It is the best crime story that I've witnessed so far, although, only till the 19th episode and the last one just took a lousy turn of events leaving not just a few, but too many questions unanswered leading to loose ends, which isn't something too positive, especially for a crime story. Despite the disappointment, I shan't refuse the fact that I thoroughly enjoyed it (till the 19th episode as aforesaid). The reason why I don't watch too many sitcoms or films on my computer is because I've always felt that there are several better things to do in a computer and even when I've tried watching some films, I cut it short and to complete the story, I just read the Wikipedia plot summary. 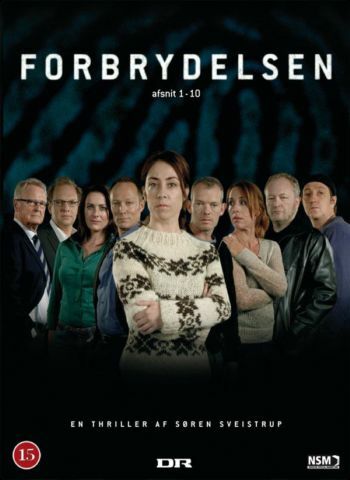 Despite this personal constraint, Forbrydelsen managed to defeat my personality, keeping me interested in the show, every minute of it and after the end of each episode, I was really desperate to know what happens in the next episode. In fact, I watched the last seven episodes almost at a stretch, approximately amounting to six and a half hours. The ending was unfortunate and I really have high hopes for the second season which I shall soon be watching. So far, in no review of mine have I rated a crime novel without a fitting end above four but in consideration for Forbrydelsen having everything else except a proper end, I'd give it a five.